In Florida, Spring doesn't linger. Instead, it peeks it's head in for a few blissful days, before beating a hasty retreat in the face of big brother Summer. Humidity levels of 100% amplify the heat index, and even a spot in the shade won't do you any good. In these moments, the only thing that can cut through the Summertime blues is something brewed, cold-brewed that is. Cold brewed coffee is made by steeping coffee grounds in cold water. The water slowly extracts all the rich roasted goodness from the coffee, leaving bitter flavors behind. Cold-brewed coffee can be made at home, but there are actually some exceptional store-bought options as well. One such option, Chameleon Cold-Brew, is the brainchild of Chris Campbell and Steve Williams. Chris and Steve had a passion for coffee and thought that they could elevate it's expression by combining select 100% organic Arabica beans and pure Hill Country water for the perfect amount of time and at just the right temperature. The result was a smooth, richly flavored beverage that still packs a caffeinated punch. In my recipe for Chameleon Cold Brew Coconut Iced Coffee, I combine the already exceptional Chameleon Cold Brew coffee concentrate with organic coconut water, full fat organic coconut milk, and ice to create the ultimate in cool. In a blender, combine cold brew coffee, coconut milk, coconut water, and ice. Blend until smooth. 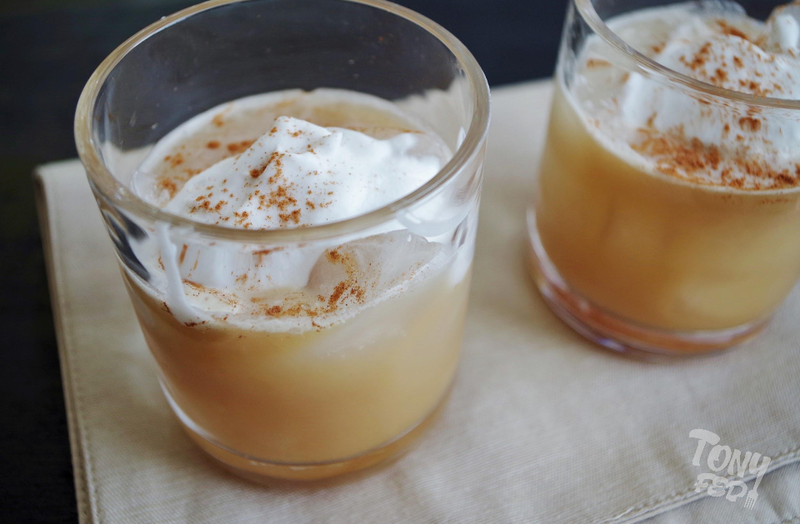 Serve over more ice and top with a dollop of whipped coconut milk and a sprinkle of cinnamon. Note: The best method that I have found for making good coconut milk whipped cream is to put a full can of Native Forest coconut milk in the refrigerator overnight. The next day, scoop out the hardened coconut cream, blend it, and then put it back into the refrigerator until ready to use.